Rocks of the Ordovician period were formed between 500 and 440 million years ago. 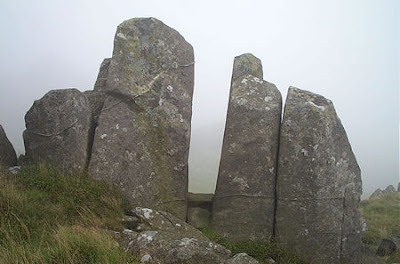 Igneous, sedimentary and metamorphic rocks from this period are found in Pembrokeshire. It was a period of volcanic activity, when land emerged from the sea by the up thrusting landscape features, Carn Llidi and Penbiri are remnant s of volcanic activity. 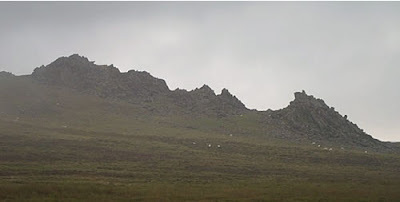 Ordovican rocks occur across most of north Pembrokeshire, especially around the Preseli Hills, where outcrops of igneous rocks push up through the Ordovician sedimentary strata. Metamorphic rocks such as shale and slate also occur. Fossil graptolites, a marine animal, are found in both sedimentary and metamorphic rocks in the area. Poor acid soils are associated with Ordovician rocks. 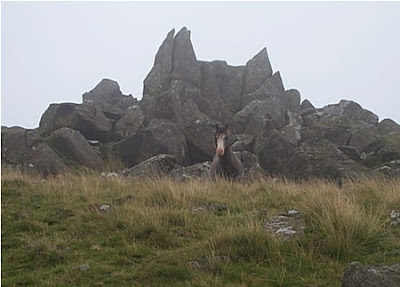 An environment of windswept moors, rushes, heathers and few trees is a typical landscape. Buzzards, in search of rabbits, wheel above land suitable only for hill grazing. 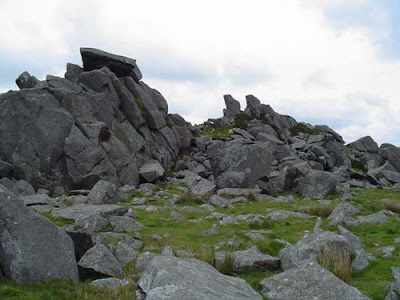 Carn Meini, a dolerite outcrop on the Preseli Hills, is the source of the bluestone at Stonehenge. 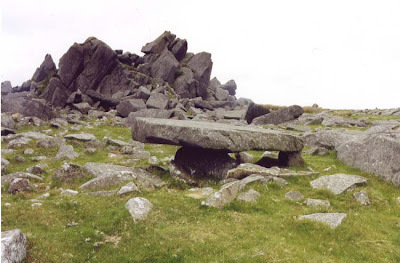 How the stones reached there, by man or geological forces, is still under debate. 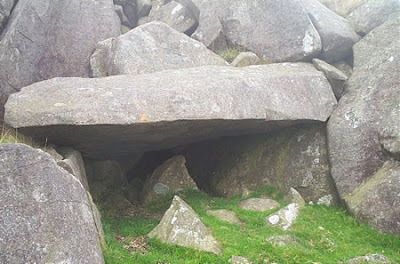 The dolerite was used for making axes in the Neolithic period. 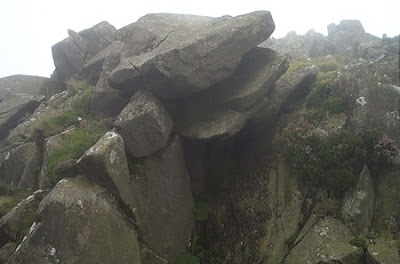 The local shale splits into slabs or ‘rab’ useful for building walls or roofing. Slate quarrying was once an important local industry, its products were used to roof the House of Commons. I must digg your article so more people are able to look at it, really helpful, I had a tough time finding the results searching on the web, thanks.